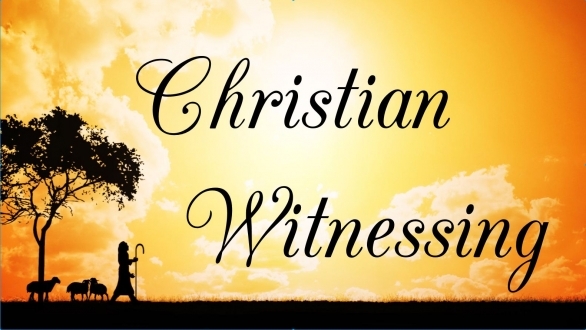 The Divine-human situation: Traditional Christian witnessing (evangelism) directly starts with the issue of “eternity” in their evangelism campaigns as though that issue is humanity’s first preoccupation. This indeed is the traditional ‘religious’ formula. However, Christ’s ministry shows that the beginning of his ministry was that of care of the suffering humanity. As such, in serving the people, Jesus showed that God was mindful of human condition on earth. In His Son Jesus, God is present among humanity in their difficult life. People believed in Christ as God-sent because he showed them God through his word and work. Otherwise they would have treated him simply as another prophet. In Jesus, God became relevant to the suffering humanity by being present in His Son (John 14:10, 23b, etc.). Even so, Jesus talks about ‘serving’ (servant, slave, served, to serve: Matt 20:26-28). Jesus was manifesting the fact of the ‘Divine presence with the suffering man’ as predominant fact for people to first understand. 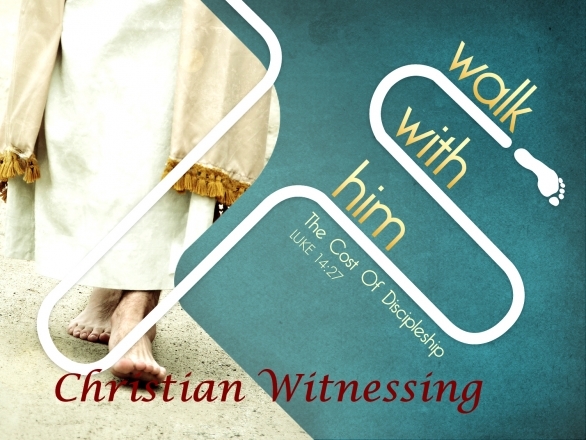 Where does one begin in witnessing about God’s work? How do we define that work? There are two ways of answering these questions. One, we tell people about God’s work of salvation brought out in Jesus His Son. This is the traditional way. Two, we talk about God’s message to humanity from the time of its fall in sin running through the human history and through the work of God’s Son Jesus. We shall review these two options. The first one is the principal method in today’s evangelism and is of common knowledge. The second one, very, very rarely used, - in a way, almost never. ‘Evangelism’ and Christian ‘witnessing’ are synonymous terms. Yet, these two are vastly different in content in their practical form. 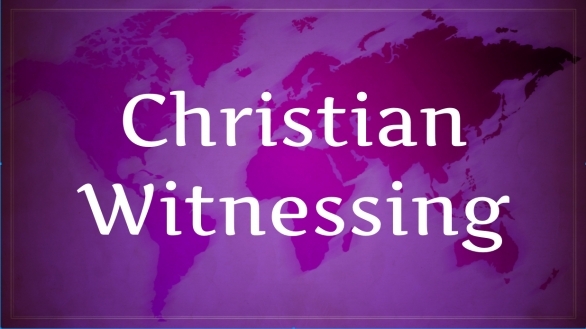 ‘Witnessing’ is a Biblical term standing unchanged in purpose and scope of activity. ‘Evangelism’ too has the same purport. Yet, it became drastically restricted in scope to a narrow purpose and activity, which is, just presenting the ‘message of salvation’ with a few follow-up (sequential) acts. Functionally ‘evangelism’ is an abridged version of ‘witnessing.’ In such a limited scope, ‘evangelism’ means ‘sharing the good news.’ That in itself sounds very brief in content, purpose and work. In this context, just to a) ‘preach’ ‘salvation in Christ,’ b) inviting the listener to accept Christ as the personal Savior and c) assuring eternity with God, and d) enjoining the new convert to come into a Christian fellowship – the church. The preacher can keep working on the hearers till the desired results (decisions) are accomplished. Campaign can end there as the preacher moves on. Then, with some believers, a small church starts, or new members would be connected to an existing church. To an itinerant preacher or radio/tv preacher the task ends with the dissemination of the message. In this, the major task is ‘preaching the message of eternity’ in the ordeal of Christ’s suffering and death on the cross.